Mister Cee of Hot 97 spoke bluntly about his sexual identity. It was early Thursday morning and Mister Cee, a D.J. on the hip-hop station Hot 97 and a prominent figure in New York hip-hop history, was in tears. The day before, an audio clip was released in which he appeared to solicit a sexual act from a transgender person, the latest in a string of incidents, including arrests, revolving around Mister Cee’s sexual activities. During his Wednesday afternoon show he had announced his resignation, saying he didn’t want to draw negative attention to his employer and colleagues because of his actions. 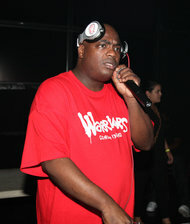 Mister Cee in New York City in 2012. So there he was on the air the following morning, getting a loving and concerned third degree from Ebro Darden, the program director for Hot 97 (WQHT 97.1 FM), the station where Mister Cee, 47, has worked for two decades. The sober and wrenching conversation lasted about a half-hour, all of it eye-opening. In its detail and bluntness the talk became not just a discussion about one man’s personal struggles but also an intense and public conversation about hip-hop and sexuality. Mister Cee’s acknowledgment that he is grappling with his sexual identity comes amid the gradual easing of hip-hop’s internalized homophobia. Over the last couple of years Frank Ocean, the soul singer and affiliate of the hip-hop crew Odd Future, openly discussed his love for a man; ASAP Rocky and Kanye West have loudly disavowed homophobia (though Rocky visibly struggled at the MTV Video Music Awards last month when put on stage next to the openly gay basketball player Jason Collins), and Jay Z voiced his support for marriage equality. This reflects a generational shift in attitudes in the culture at large, a slight change in the class positioning of hip-hop’s mainstream, and a broadening of hip-hop’s fan base. Antigay sentiment has long been part of that world — two decades ago there were virtual witch hunts to root out rappers who might be gay — but as hip-hop becomes more central to pop culture, its values are evolving. It’s no longer tenable for hip-hop to be an island. 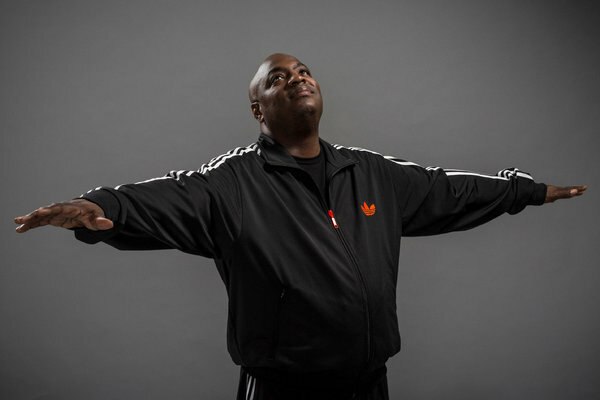 Mister Cee, born Calvin Lebrun, treated the interview as a confession and an unburdening, speaking with a frankness essentially unheard-of in the genre. He wept several times. He said that his Caribbean heritage made it even more difficult to come to terms with his sexuality. And he fretted about the future. Implicitly, Mister Cee was addressing how he thought these two parts of himself — his sexual identity and his hip-hop celebrity as a radio and club D.J. — couldn’t coexist. That question underscored not only the genre’s history of intolerance, but also the fundamental conundrum of hip-hop D.J.’s — they are omnipresent but largely anonymous. That’s true especially of Mister Cee, who for a time was a Zelig figure in New York hip-hop: the D.J. for Big Daddy Kane and an affiliate of the influential 1980s outfit the Juice Crew; the man who reworked the Notorious B.I.G.’s demo tape and helped get it in the hands of Sean Combs; a significant mixtape D.J. in the 1990s; and a steady presence at Hot 97, one of the most important rap stations in the country. 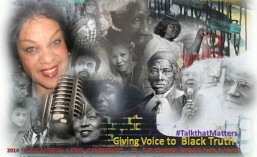 He is the station’s institutional memory and its living link to history, its one reliable purveyor of hip-hop classics. And he’s the D.J. who takes it upon himself to memorialize the dead. Listen to his mixes celebrating the life of Heavy D, or Big L, or as he did on Friday afternoon’s show, Tupac Shakur — they are things of erudition and love. But even with that résumé, Mister Cee feared he could be replaced, that his scandal could become the thing that defined him, and in a flash, undo him. “God forgives — I hope y’all do too,” he posted on his Instagram account after resigning. Mr. Darden has emerged as a fascinating figure over the last year, a program director who has become something of a moral beacon. He has been a testy combatant in wars of words with personalities from Power 105.1 FM (WWPR), New York’s other hip-hop station; a peacemaker between Nicki Minaj and Peter Rosenberg, the on-air personality who publicly attacked her; and now the blocker clearing a path for Mister Cee’s acceptance. By embracing Mister Cee unreservedly, by publicly showing in no uncertain terms that he is worthy of love, and by insisting he belonged on the air, Mr. Darden took an implicit stand on behalf of Hot 97, and maybe by extension, of hip-hop. He answered Mister Cee’s bravery with tolerance, a loud rebuke to those who might prefer to keep hip-hop difference-free. A radio station is, generally speaking, neutral territory — songs are played, personalities are a bit bland. But Mr. Darden’s behavior reframed Hot 97 as an ideological institution, not just a musical one. He gave Mister Cee a safe space in which to be all the parts of himself. On Thursday afternoon, following the urging of Mr. Darden during the morning interview, Mister Cee had un-resigned. He was back in his noon time slot, playing defiant songs interspersed with grateful ones — Jadakiss’s “The Champ Is Here,” Maino’s “Hi Hater,” AZ’s “I’m Back.” “Let me just live my life/Just leave me alone,” he rapped along with one Cam’ron song. In between songs, he barked out the details of the clubs where he’d be spinning in the coming days. Following that with that group’s exuberant anthem “Thank You (Falettinme Be Mice Elf Agin),” Mister Cee was sending a clear message: He had been supporting others for so long. Now, finally, he was the subject of his own tribute. A version of this article appears in print on September 14, 2013, on page A1 of the New York edition with the headline: Hip-Hop, Tolerance and a D.J.’s Bared Soul: He’s Tired of Denial. This entry was posted in Black Culture, Music and Art, Music and Entertainment and tagged hip hop, hip hop history, hot 97 wqht, Mister Cee. Bookmark the permalink. ← EPA Victims Ask: Who Will Protect Us From Our Protectors?